Before the word magic was pinned to black girls, there was award-winning actress Cicely Tyson paving the way for black girls and women in the entertainment world. And she is still going strong. On Sunday, the 91-year-old Tyson attended the 68th Primetime Emmy Awards and chatted with reporters on the red carpet. Just a few days before, on Sept. 14, the legendary actress was presented a lifetime achievement award during the 20th Annual Celebration of Leadership in the Fine Arts awards ceremony. The event was part of the Congressional Black Caucus Foundation, Inc. (CBCF). Tyson joined icons Richard Roundtree, Chadwick Boseman and Dionne Warwick, who also accepted awards for their achievements. The event was hosted by actress Malinda Williams. 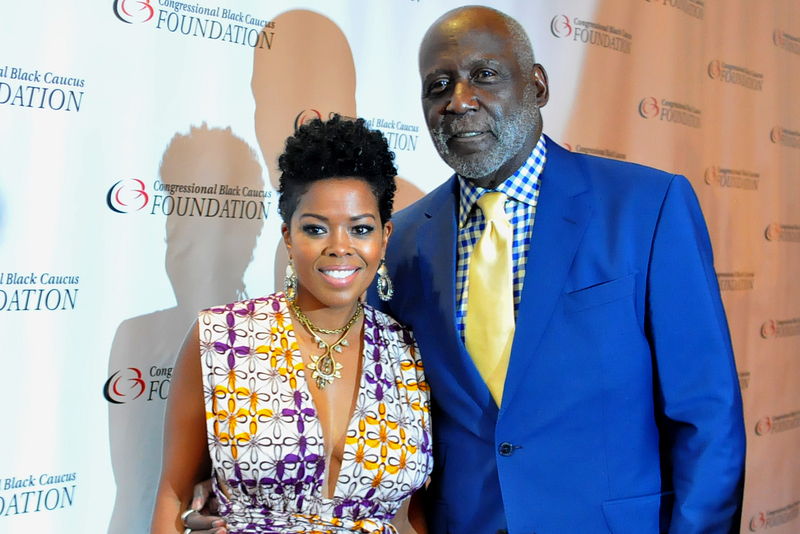 Actors Malinda Williams and Richard Roundtree grace the red carpet of the 24th Celebration of Leadership Awards. The awards ceremony is organized in cooperation with the Congressional Black Caucus Spouses Visual and Performing Arts Scholarship Program. 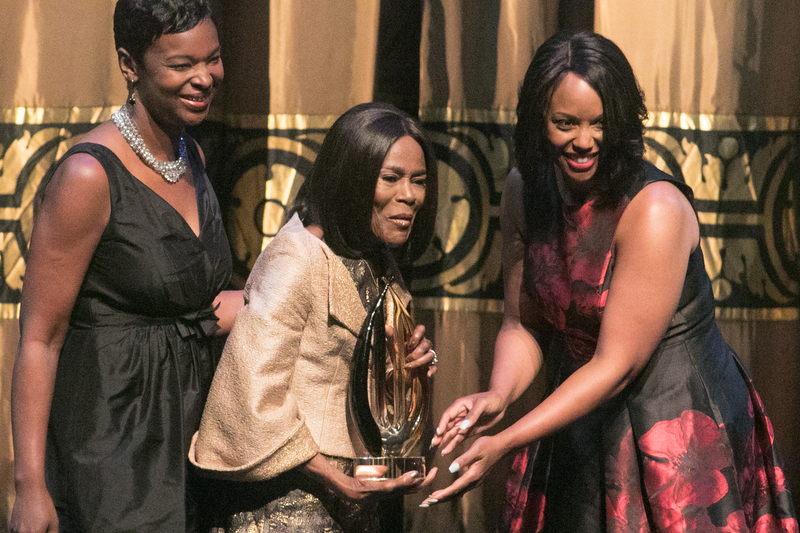 Cicely Tyson receives Lifetime Achievement award during the CBCF 20th annual Celebration of Leadership in the Fine Arts at Sidney Harman Hall in Northwest on Wed., September 14. Since 1996, the Celebration of Leadership in the Fine Arts awards ceremony has raised funds to support the CBC Spouses Visual and Performing Arts Scholarship Fund. Twenty scholarships are awarded annually to highly qualified students pursuing undergraduate degrees in the arts, based on their creative talent, academic excellence, financial need and community service. “We have supported arts education for 20 years through the Celebration of Leadership in the Fine Arts, during a time when arts education has decreased in many schools,” said Maya Rockeymoore Cummings, a CBC Spouse and the chair of the Celebration of Leadership in the Fine Arts. On Sept. 7, Tyson attended the Florence Foster Jenkins premiere in New York City. Tyson has recurring roles in two of television’s top-rated shows: ABC’s How To Get Away With Murder, as the mother of Annalise Keating (Viola Davis), and the Netflix drama House of Cards. Last year, she starred in the Broadway hit play The Gin Game alongside James Earl Jones. According to IMDb, Tyson’s work spans as far back as 1957, when she began acting in off-Broadway productions. She had small roles in feature films before she was cast as Portia in The Heart Is a Lonely Hunter (1968). Four years later, Tyson was nominated for an Academy Award for best actress for her performance in the critically acclaimed film Sounder (1972). In 1974, she went on to portray an 110-year-old former slave in the television film The Autobiography of Miss Jane Pittman (1974), which earned her two Emmys. She also appeared in the television miniseries Roots (1977), King (1978) and A Woman Called Moses (1978). Tyson has appeared in several Tyler Perry films, as she continues to stay true to her craft. During her career, she has been nominated for 12 Emmys, winning three. In 2011, she appeared in the film The Help. The truth is Tyson keeps soaring and creating a legacy that will continue to inspire women and others for years to come.